Locally-owned business serves Katy, Fulshear, Foster, Pecan Grove, Richmond, Rosenberg, and surrounding areas. 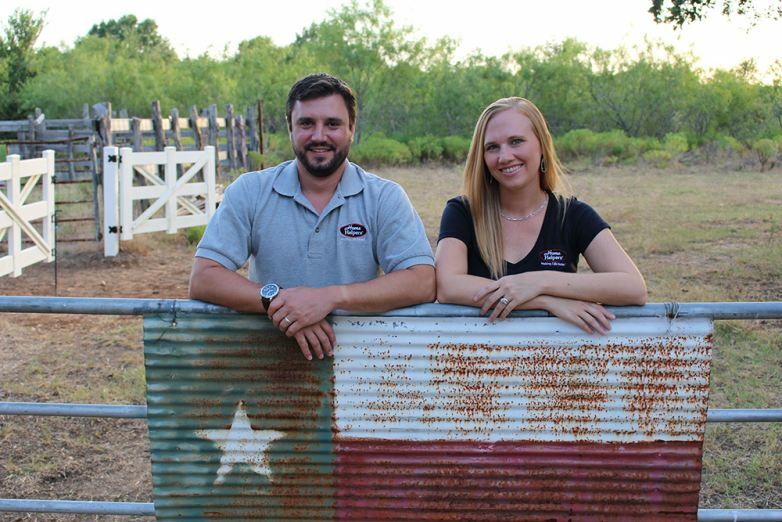 KATY, Texas - Aug. 17, 2016 - PRLog -- When Adam and Genie Hopkins decided they wanted to open their own business, they knew they wanted to do something that made a tangible difference on the lives of people in their community. Now the two are proud to announce they've opened their own in-home care business, Home Helpers and Direct Link of Greater Katy. Home Helpers is the nation's leading franchise specializing in comprehensive home care for seniors, new mothers and individuals needing recuperative and long term care. Direct Link is its proprietary line of 24/7 medical alert systems, including a fall sensor and an automated medication dispenser. Home Helpers and Direct Link of Greater Katy serves Katy, Fulshear, Foster, Pecan Grove, Richmond, Rosenberg, and surrounding areas. "We were attracted to Home Helpers because we recognize the need and the help we can provide in the Greater Katy area and we've seen our families go through some of the challenges our clients are facing. Genie and I both watched our parents do their best to care for our grandparents while juggling their everyday lives – and seen the guilt they've shared for not always being able to fill the caregiver role. With Home Helpers, you can provide care without being the direct caregiver, and bring back the family unit. That can make a huge difference," Adam said. Home Helpers and Direct Link offers free in-home consultations and works with each client to create a flexible, affordable care plan based on a person's individual needs. Services offered include personal care such as grooming, bathing, ambulation, medication management and care management as well as respite care, meal preparation, laundry, light housekeeping, companionship and transportation. "Whether someone needs care full-time or they just need someone to drop by for light housekeeping a few hours a week, our compassionate team can help," Genie said. "It's also important for people to understand that while we have the backing of the nationally recognized Home Helpers company, we are a locally-owned small business. Home Helpers of Greater Katy is a family company and we are putting our name behind the care and services we offer. We want you to feel like you are part of our family." With Home Helpers, each individual client receives services tailored to meet their specific needs by caregivers who become an extension of their family. Home Helpers' full-range of home care services empower clients to live healthier and more rewarding lives in the privacy, safety and comfort of their own homes. Prior to opening Home Helpers, Adam worked in sales and management for the oil and gas industry. Genie's family has an extensive background in opening and operating many nursing homes and assisted living facilities and Genie has direct experience in caring for seniors. The couple lives in Katy and they have two sons. For more information about how Home Helpers and Direct Link can serve you and your family, call (832)437-2228, email AHopkins@HomeHelpersHomeCare.com or visit http://homehelpershomecare.com/katy/. Founded in 1997, Cincinnati-based Home Helpers is one of the nation's leading home care franchises. With an ongoing commitment to helping people live healthier, more independent lives in the comfort of their own homes, Home Helpers works with seniors, new and expectant mothers, those recovering from illness or injury, and individuals facing lifelong challenges. Home Helpers is affiliated with Direct Link, a national provider of 24/7 emergency response systems and vital signs monitoring units. For more information about the company or about how you can open your own Home Helpers franchise, visit www.HomeHelpersHomeCare.com.